We are really excited to announce that our new office training room has appeared on the BBC website within a feature they are running on trendy office design! We have recently taken on the 7th floor of our office building in addition to the 8th floor so are creating a new and exciting space to house our rapidly expanding team. Our newly created ball pit is one of the many new areas that have been designed with a bit more creativity in mind. 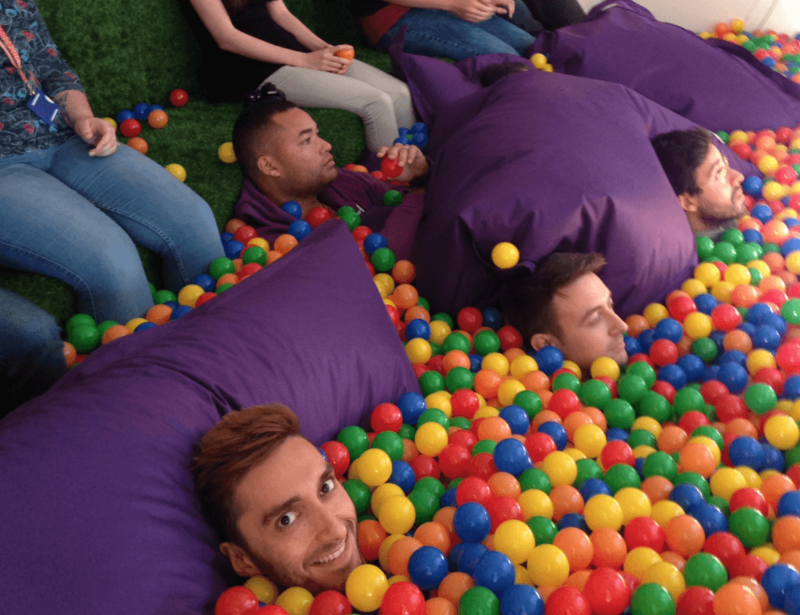 Asked why on earth do you have a ball pit in an office, Luke said: “we wanted a space where people can enjoy themselves and be more creative. All of us spend so much time at work it is important that we try and enjoy it. This space makes people smile, and gets people thinking more creatively. It’s great to see that other people love our ball pit us much as we do! We’ve been reading through your tweets and replying to many. Why don’t you let us know what you think by hashtagging #giantballpit? The ball pit goes along with the new office bar (yet to be named), the new filming studio, our secret board room (shhh, don’t tell anyone) and fish tank awards cabinets. If you are ever in the area and fancy a swim in the ball pit please drop in! We are looking for geeky names for our bar… any ideas chuck them in the comments below!